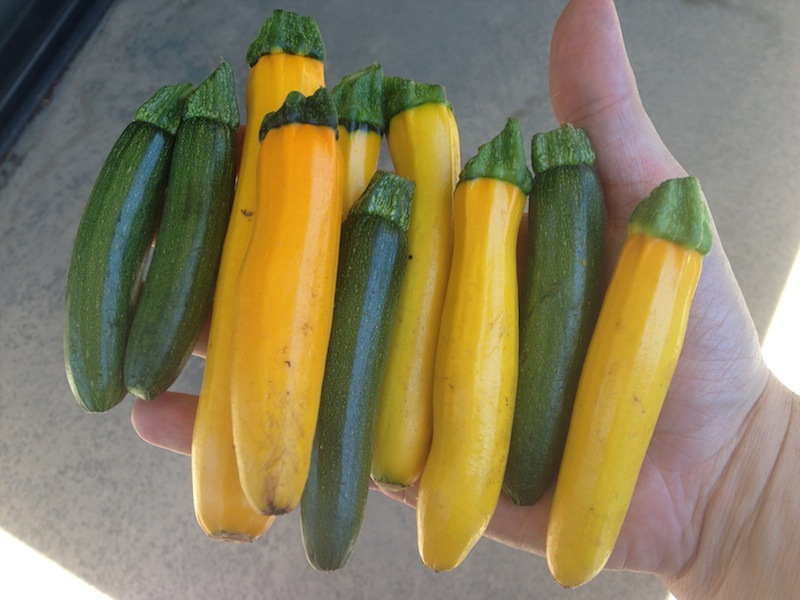 Two Awesome Farmers Market Finds | Keep It Up, David! I’m racing to get a bunch of stuff done before leaving for the Fitbloggin’ conference in Denver, so this one’s short and sweet. I met up with my friends Heather and Nancy at the Hollywood Farmers Market over the weekend, and found two things that practically made me jump up and down. Two! This variety of broccoli is the most beautiful piece of produce I’ve ever seen (more pics at the end of this post), but it has a short season, so I don’t see it very often. 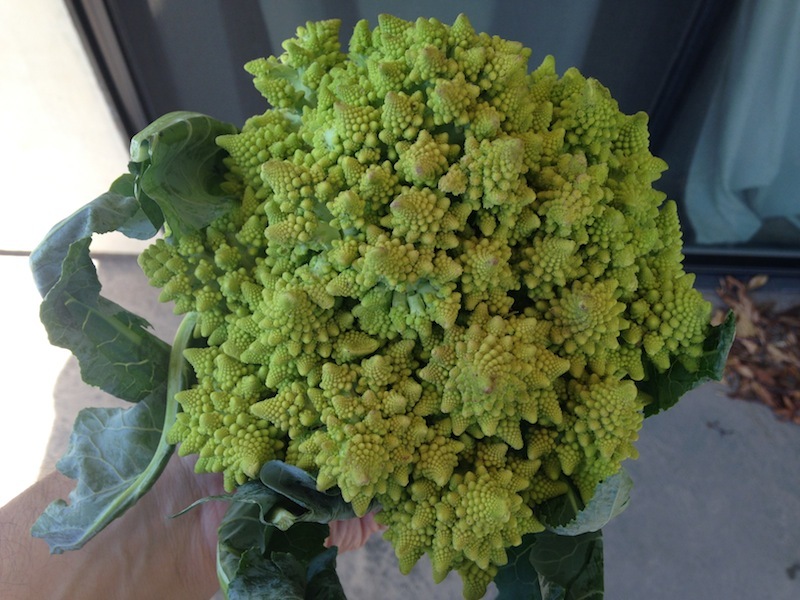 For you math experts out there, Romanesco is an example of a Fibonacci fractal occurring in nature, and if you don’t know what that means (I don’t), a blogger named Garden Betty explains it better than I ever will. My head started swimming with ideas on what to do my new finds, but I decided to go simple and elegant. 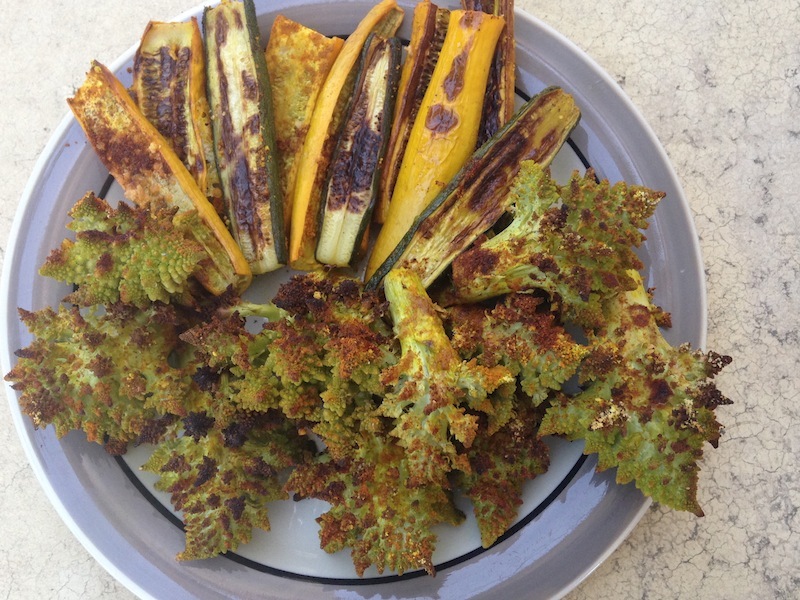 I cut them, spread them out on a sheet pan, sprinkled them with smoked paprika, turmeric, and a couple tablespoons of Parmesan cheese, and I roasted them, in a 425 degree oven, for about a half hour. 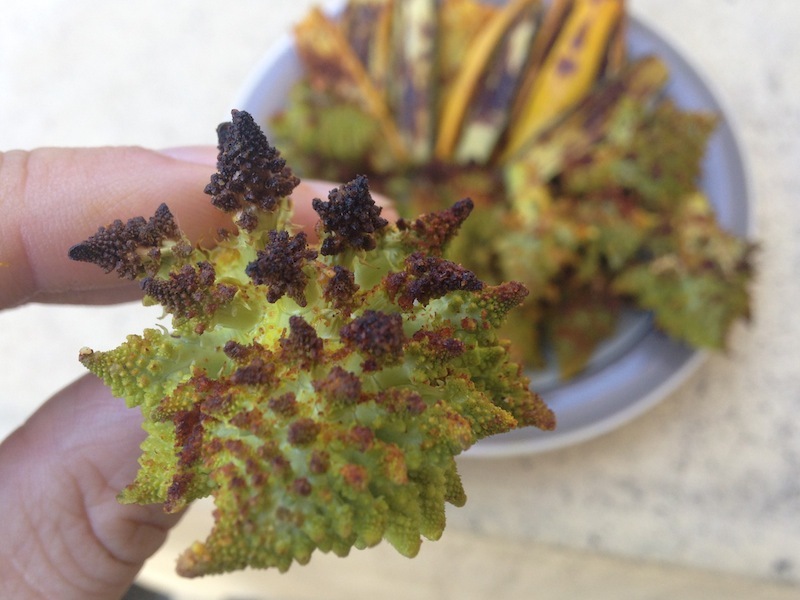 You can use Romanesco any way you’d use regular broccoli, by the way, and that includes eating it raw. But why eat it raw when you can easily make this? I’m not quite sure when I’ll be posting next, what with Fitbloggin’ this week and a trip to see family immediately after. I’m planning on staying active on Twitter and Instagram, so if you need your fix, check out those feeds – links are below. This entry was posted on Wednesday, June 24th, 2015 at 12:07 am and is filed under Uncategorized. You can follow any responses to this entry through the RSS 2.0 feed. You can leave a response, or trackback from your own site.